How to open a popup from another popup? 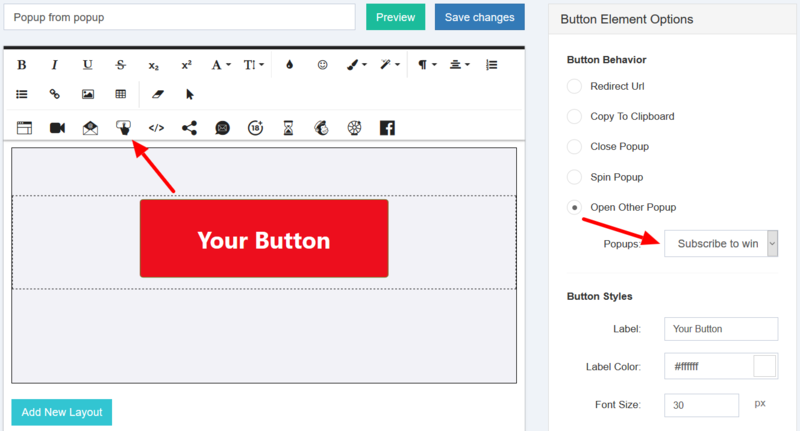 How to open a popup On Click or On Hover? How to open a popup on Exit Intent? How to show an Exit Intent Popup on Mobile devices? How to open a popup On Load or On Scroll? How to open a popup in case of Inactivity? 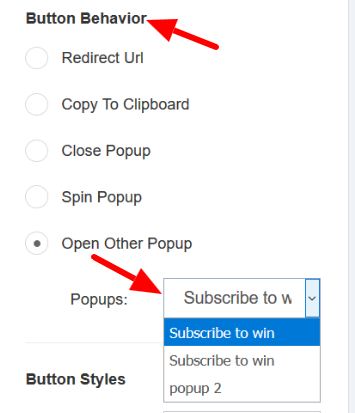 To open a popup from another popup, you should use the Button element, and select the Open Other Popup option, in the Button Behavior section. Simply select the second popup you want to open after clicking on the first popup button.